Boston College (8-0) remains in control of the Division I Coaches Poll after collecting all 25 first-place votes this week. The entire top ten remained intact, with the only variance a flip-flop at numbers five and six. Virginia (6-2) moved ahead of Northwestern (5-3) to break into the top five. Johns Hopkins (6-1) was the only team with significant movement, jumping up three spots to land at #14. High Point (3-3) makes its 2019 poll debut, checking in at #25. Top-25 action starts Wednesday when #4 Syracuse travels to #16 Florida, Penn (#8) visits #2 Maryland, and # 10 Loyola hosts Virginia (#5). 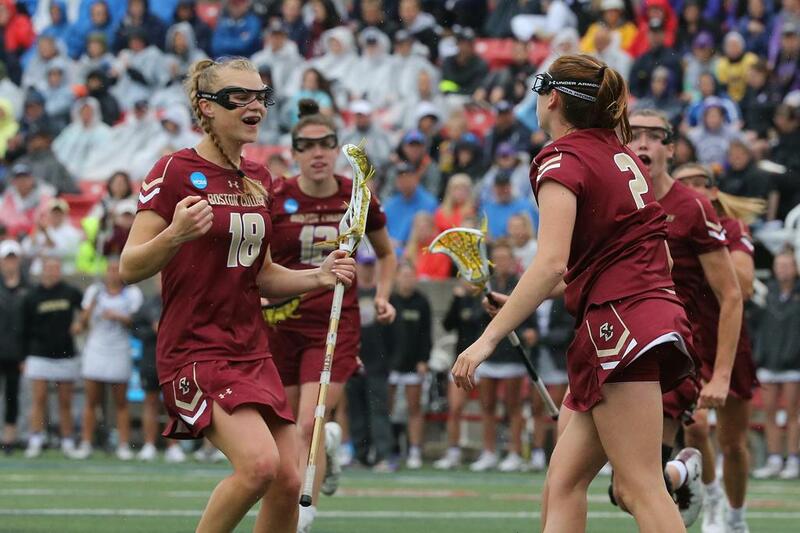 The weekend’s contests include Southern California (#22) at #23 Colorado on Friday, #21 Georgetown at top-ranked Boston College, #3 North Carolina at Florida, #19 Penn State at #12 Michigan, Duke (#15) at #8 Penn, and #20 Notre Dame at Virginia on Saturday, and #11 Denver at #24 Virginia Tech on Sunday.